AVG’s advanced antivirus scans for, removes and flat-out stops viruses, ransomware, spyware, rootkits, Trojans, and other nasty malware — and because it all happens in real time, we can catch threats before they reach you. 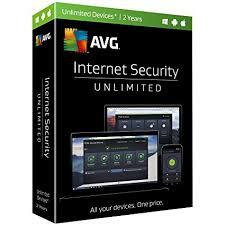 AVG Internet Security secure your USB and DVD drives just as quickly, too. It updates your security automatically, and uses advanced Artificial Intelligence (AI) and real-time analysis to help stop even the newest threats from getting near you. AVG Internet Security Unlimited Devices is suitable for Home Users who wish to have full Internet Security protection for all devices, unlimited by paying one fixed annual fee. At RM 200.00 ( RM 212 GST included ), user get to install and enjoy the protection of all devices. Thoroughly scans every corner of your computer (and any drives connected to it) in real-time for viruses, ransomware, spyware, worms, Trojans, rootkits, and other malware. You can even schedule whole-computer scans for those times you won’t even be at your computer. Uses advanced artificial intelligence on your computer to proactively identify malware samples that haven’t yet been catalogued by our ThreatLabs team. Scans for potentially unwanted applications (PUAs) that you may have unknowingly downloaded (e.g., adware and other malicious applications bundled with downloaded software). Cloud-based technology helps stop even the newest malware variants and outbreaks in real-time. Anytime our antivirus encounters an unknown threat, it uploads it to our ThreatLabs team for analysis. They’ll then send out a cure to all our millions of users via a security update. The end result? Better protection for everyone. Dramatically shortens scanning times by intelligently skipping files it already knows are safe (i.e., files unchanged since they were last scanned). Like an alert watchdog, this feature works in real-time to sniff out suspicious behavior of any software running on your computer and warn you if anything is amiss. This helps protect against 0-day threats, malicious programs, and even keyloggers that secretly record typed passwords and bank account details. Ensures that your security is always up-to-date by pushing virus definitions, bug fixes, security updates, and new features to you as they become available. Silent Mode We don’t mess with movie time. Silent Mode postpones scans, updates, and popups to avoid interrupting you while you’re working, playing games, or watching videos.